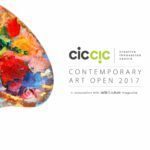 CICCIC Open Contemporary Art Exhibition 2017 Tuesday – Sat 9.30-4pm April 4th – 30th 2017. 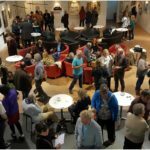 Over 70 entries were submitted from a wide range of artistic practices around the UK in response to the call for contemporary art works for the Open Contemporary Art Competition at the Creative Innovation Centre CIC Taunton. 18 artists and their work were selected by the judges panel for the exhibition which will showcase the nominations for the competition. 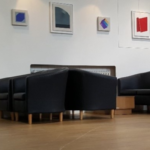 If you would like to sample some amazing art work being produced in a wide range of media then do pop in to the CICCIC Gallery to see the exhibition and grab a drink at the Cafe Tues – Sat 9.30-4pm. Please note we are closed on Fridays due to Art Classes.